At the dawn of the new millennium, director Martin Scorsese was approaching a major life milestone—the venerated filmmaker was turning sixty, which meant that he was now emerging from middle age into his twilight years. While most people his age would start preparing for retirement by now, Scorsese was beginning a third act in his career—one that would finally see Academy recognition and prestige on the world stage with works just as dynamic and energetic as his early films. 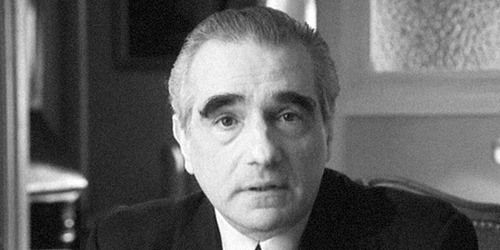 Faced with the fact that the bulk of his career was now behind him, Scorsese was compelled to once again pay homage to his heritage and his influences. He partnered with longtime producer (and ex-wife) Barbara De Fina, as well as Italian fashion icon Giorgio Armani (the subject of Scorsese’s 1990 documentary MADE IN MILAN) to make a documentary on the legacy of Italian cinema and its voices. Adopting the clip-heavy template of A PERSONAL JOURNEY WITH MARTIN SCORSESE THROUGH AMERICAN MOVIES (1995), Scorsese set about making MY VOYAGE TO ITALY—a four-hour odyssey to Italy through the eyes of its greatest filmmakers. Hosted by Scorsese himself, MY VOYAGE TO ITALY uses a treasure trove of film clips to study the broad sweep of Italian culture and history during the twentieth century. We’re all aware of Italy’s role in the Great American Century– beginning with the mass exodus of hopeful immigrants to Ellis Island, to the rise of dictatorial fascism via Mussolini and an ill-fated union with Germany in World War II. Scorsese takes a particularly personal tack in his approach to the subject matter, detailing how Italian cinema affected his family and helped link their home in Little Italy to the Old World of Sicily. He focuses acutely on influential Italian filmmakers like Roberto Rossellini, Vittorio De Sica, Luchino Visconti, and Federico Fellini—all of whom had profound influences on Scorsese’s artistic aesthetic. He describes his experiences watching their films as he charts the development of Italian Neorealism, beginning with its inception in Rossellini’s ROME OPEN CITY(1945) and all the way through works like PAISAN (1945), BICYCLE THIEVES (1948), JOURNEY TO ITALY (1954), GERMANY YEAR ZERO (1948), STROMBOLI (1950), EUROPA ’51 (1952), UMBERTO D (1952) and 1953’s I VITELLONI(which would be a huge influence on Scorsese’s own MEAN STREETS (1973). He traces how these filmmakers inspired artists of the French New Wave, artists like Jean-Luc Godard and Francois Truffaut who lit young Scorsese’s imagination alight and motivated him to make films for himself. The hosting footage with Scorsese is filmed in 35mm black and white, effortlessly fitting in with the monochromatic Italian films thanks to the participation of longtime editing partner Thelma Schoonmaker. Despite its existence as a broad overview of Italian cinema at the macro scale, MY VOYAGE TO ITALY is as personal as documentaries get. Scorsese’s longtime exploration of the Italian immigrant experience in America is given added nuance and subtext, showing the audience how his homeland’s cinematic culture has shaped his people’s assimilation into American culture and laid the groundwork for a new set of social customs and traditions going forward. When paired together with its companion piece A PERSONAL JOURNEY THROUGH AMERICAN MOVIES, we get an incredibly intimate glimpse into Scorsese’s artistic heritage, with Scorsese solidifying his position as the preeminent steward of the world’s cinematic legacy. MY VOYAGE TO ITALY is currently available on standard definition DVD via Miramax.